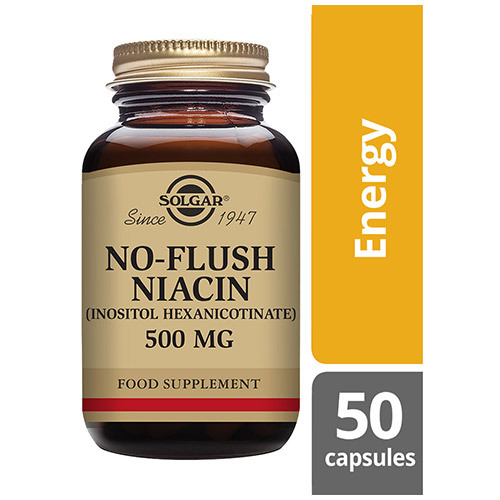 Solgar® No Flush Niacin 500 mg Vegetable Capsules contain the essential Vitamin B3, Niacin, which is one of the 8 B Vitamins and plays an important role in energy levels, assisting the metabolism and reducing tiredness and fatigue. When eating foods rich in Niacin, the chances of side effect are very slim. However, they might arise when taking high dose supplements as the amount of the vitamin will be higher than when consumed through food. 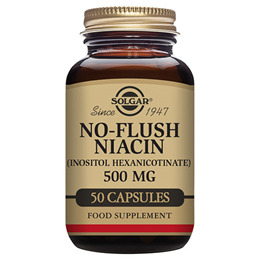 Regular high dose products containing Niacin often have the side effect of flushing. 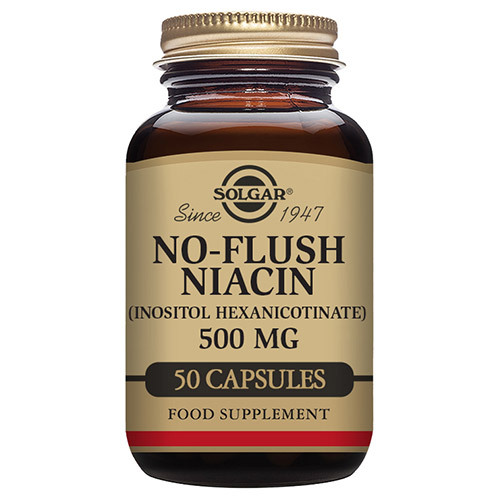 Solgar’s special complexed form of Niacin does not come with this side effect. Vegetable Capsule Shell: hydroxypropylmethyl cellulose, Anti-caking Agent: Silicon Dioxide, Vegetable Magnesium Stearate. Inositol Hexanicotinate, Niacin (vitamin B3), Inositol, Vegetable Capsule Shell: hydroxypropylmethyl cellulose, Anti-caking Agent: Silicon Dioxide, Vegetable Magnesium Stearate. Adults take 1 to 2 vegicaps daily with a meal or as directed by your healthcare practitioner. Do not exceed directions for use. 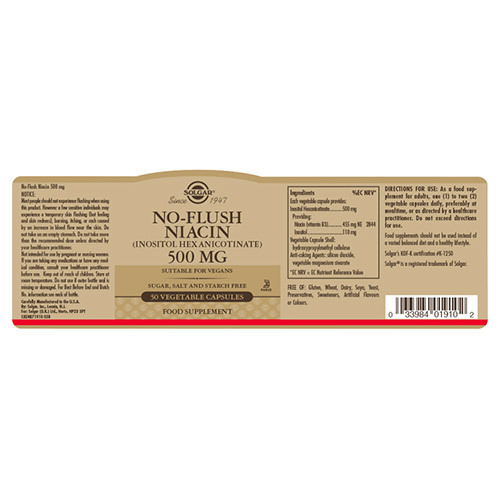 Below are reviews of Solgar No-Flush Niacin 500mg - 50 Vegicaps by bodykind customers. If you have tried this product we'd love to hear what you think so please leave a review. Good product - trusted manufacturer. 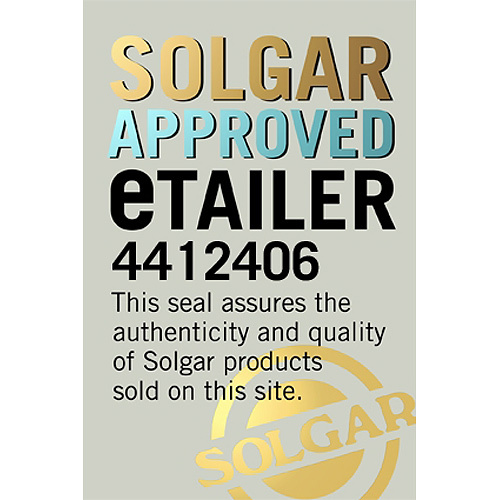 Good service - trusted Supplier with regular low prices and free you don't have to spend a fortune to get it post free! An excellent product that I have used for several years. First time I have used bodykind. Their service, delivery and price were all brilliant.